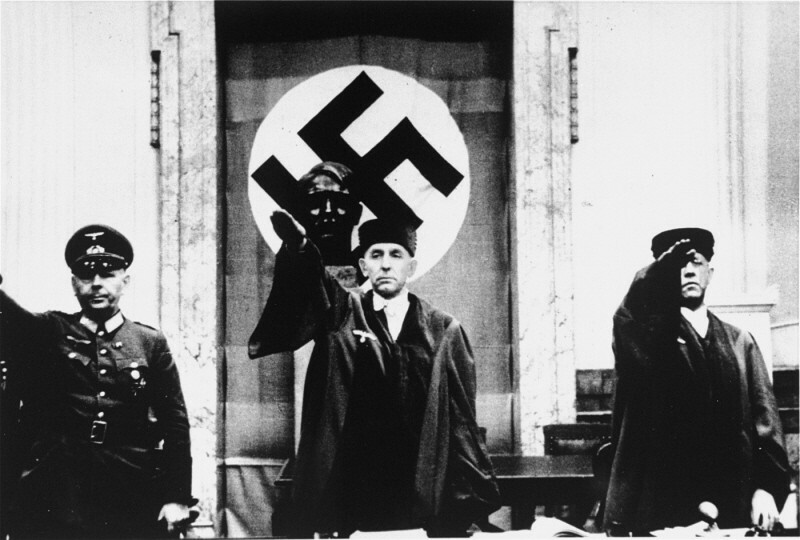 Roland Freisler (center), president of the Volk Court (People's Court), gives the Nazi salute at the trial of conspirators in the July 1944 plot to kill Hitler. Under Freisler's leadership, the court condemned thousands of Germans to death. Berlin, Germany, 1944.